Are you looking for the ultimate adventure? 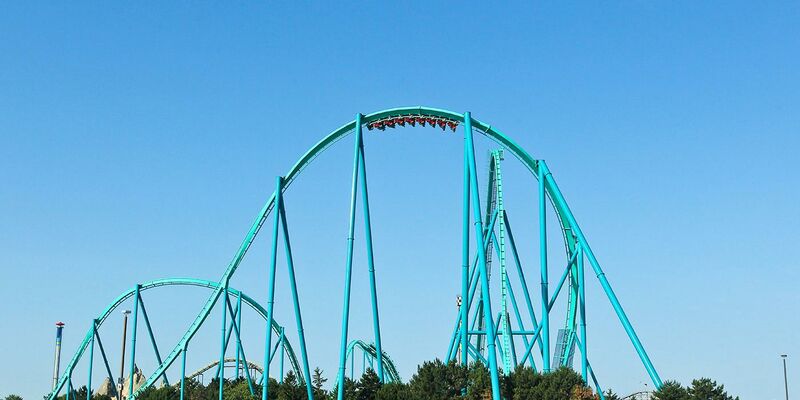 For ambitious thrill-seekers looking to conquer Canada’s tallest and fastest roller coaster, look no further! Leviathan, a mystical sea creature, will take you on the ride of your life. On this record-breaking giga coaster, riders will ascend a heart-pounding 306 feet to make their way to the highest peak in the park, where they’ll be face-to-face with a steep 80 degree drop. Before they know it, they’ll be racing down the track at incredible speeds reaching up to 148 kilometers an hour – fun fact: that’s faster than most trains travel in Canada! At 306 feet (93.27M) this is the tallest ride in the Park – towering 76 feet (23.2M) taller than Behemoth, and 5 feet (1.52M) taller than WindSeeker. If you’re looking for fun and adventure, be sure to hit up Leviathan, hold onto your lap bar, and enjoy the wild ride! This is one of the many great rides in the FAST LANE PLUS lineup. Leviathan is also one of the great FunPix locations where you can show your FunPix card after the ride to collect your on-ride photo. Guests must be between 54" and 80" tall to ride. A high-speed steel roller coaster with a combination of banked turns and airtime hills. Guests must have a minimum of three functioning extremities including one functioning arm that includes a hand. Due to manufacturer requirements, a prosthetic leg is not a substitute for a leg amputation at this ride. 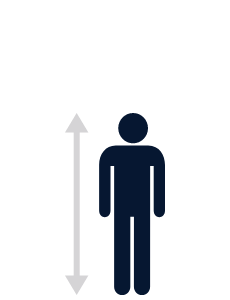 Two functioning arms are sufficient instead of three functioning extremities if the guest has a normal centre of gravity and the lower extremities are sufficiently strong to maintain proper riding posture under the dynamic conditions of the ride. Amputations must be below the ankle. Guests with any type of arm prosthesis should not ride unless they can ensure the device is properly secured and will remain in place during the ride. Leg and/or foot prosthetics are not permitted on this ride. Alternatively, guests with certain amputations may be able to ride with the use of a separate full body harness provided the guest has remaining leg and arm remnants to be secured by the harness. 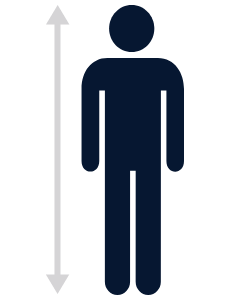 Guests should check with Guest Services to determine if they are eligible to ride using the full body harness.